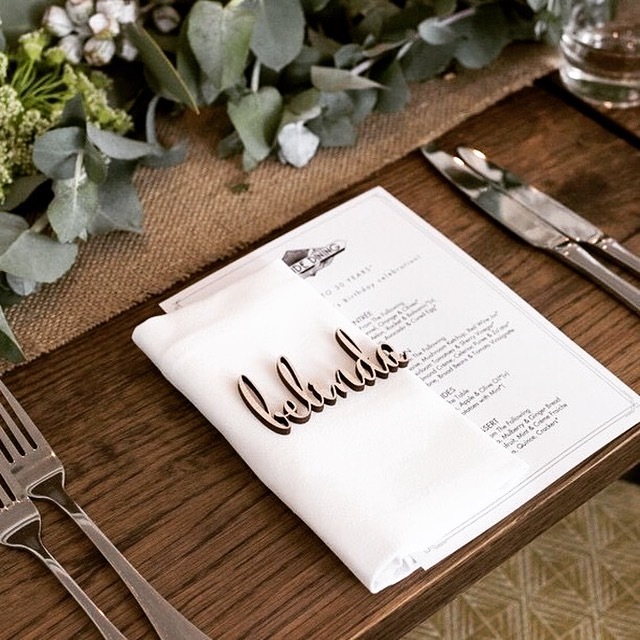 Letters from Belle’s lasercut bespoke place cards add the perfect finishing touch to your celebration. 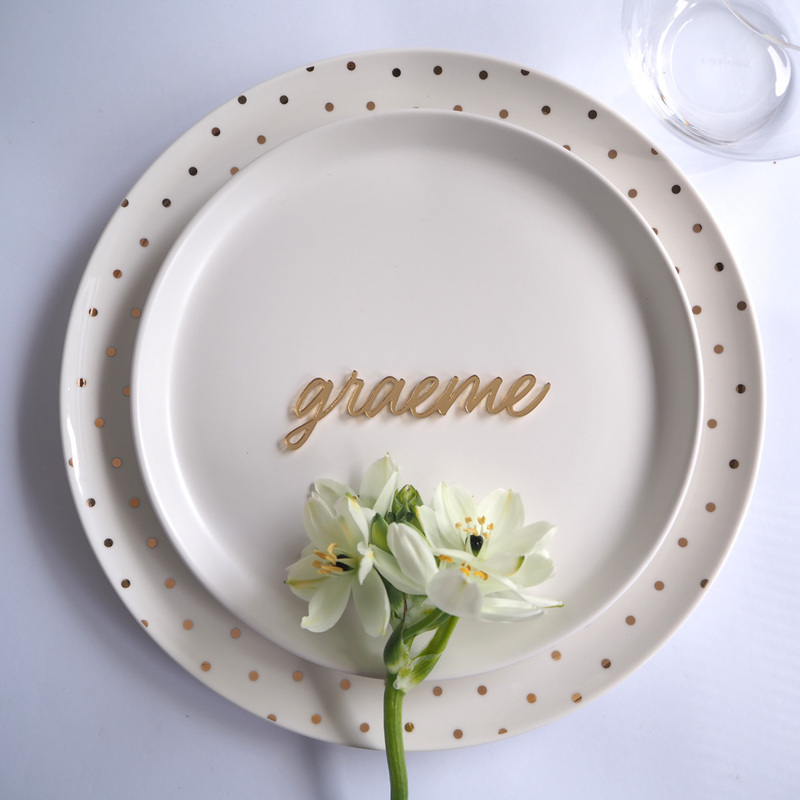 Whether it be a customised take home gift for your guests or the final element for your table setting, we add that special something you have been looking for. 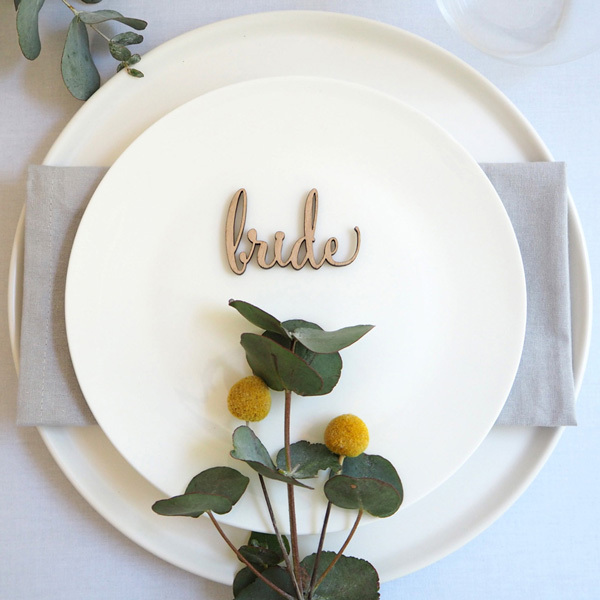 Letters from Belle’s lasercut bespoke place cards pricing is based on the quantity required. Please see the pricing guide below. The prices shown are for our 6 standard materials, and 6 standard fonts. Please get in touch if you require something a bit different. Pricing is based on one name per place card. 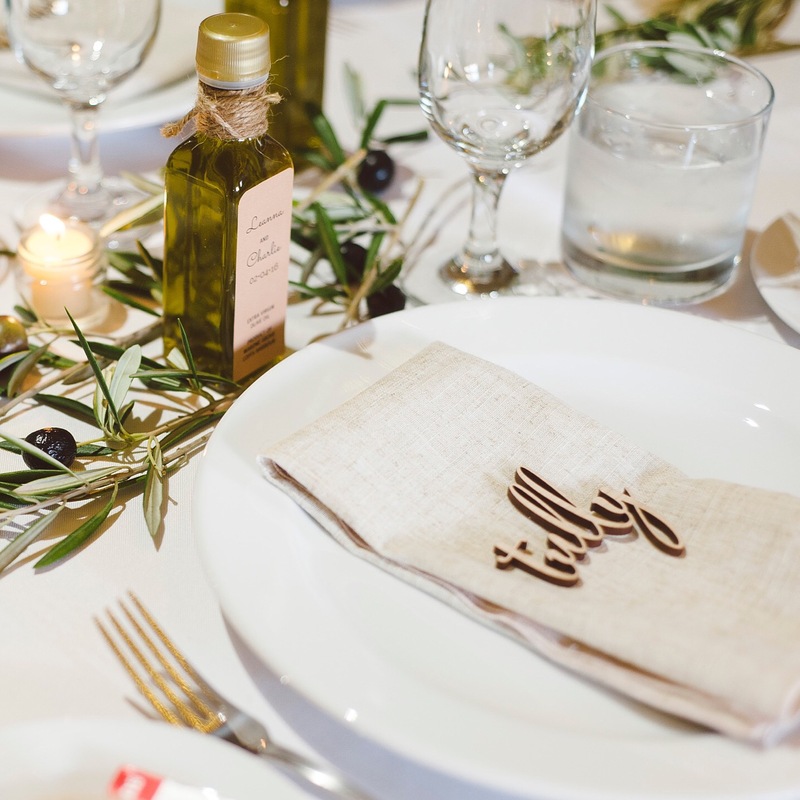 Each place card is approximately 8cm long (depending on the name). 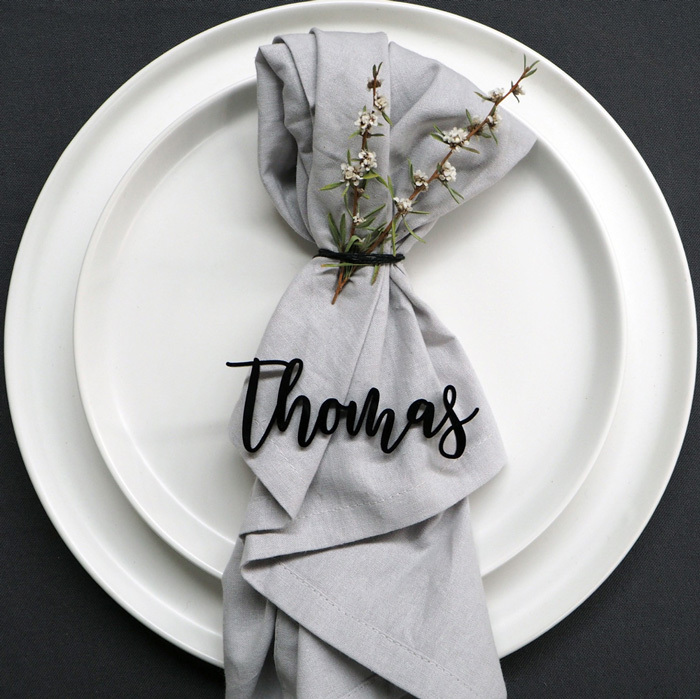 They are all the same font size for consistency across your table settings; for example 'ben' will be shorter in length than 'benjamin'; but they will be a consistent height. Please visit our Font Options page for more examples. and Matte or Gloss Black Acrylic. Visit the Colour Options page for more information. Elegant, Script, Curve, Freeform, Natural and Whimsy. From classic to playful, and all refined for lasercutting. Visit the Font Options page for more information. If you are unsure that our colours or fonts will match your colour scheme you can order a sample here. You can either order a 10 pack through our online store; or get in touch to arrange a larger quantity at the prices shown above. Please see below for more information. We are currently taking bookings for large orders. Please keep in mind that October to December is ‘wedding season’, and as such it is best to get in contact as soon as you can. Large custom orders require a 25% deposit to secure the order. This ensures Letters from Belle allots enough time to design and produce each custom order. The total invoice balance will be based on the final names list provided. Deposits are non-refundable if the order is cancelled within 10 weeks of the event date. We are based on the East Coast of Australia and currently only ship within Australia. 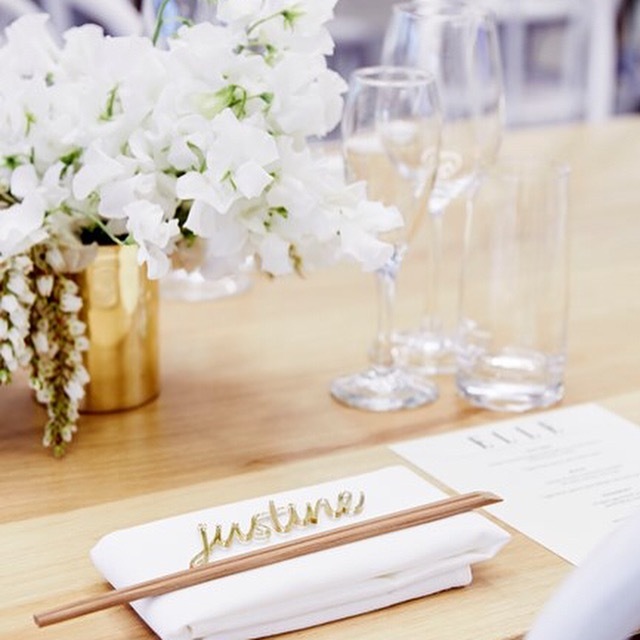 We also offer Local Pickup for Newcastle / Hunter Valley customers by arrangement – please get in touch if you would like to organise local pickup. 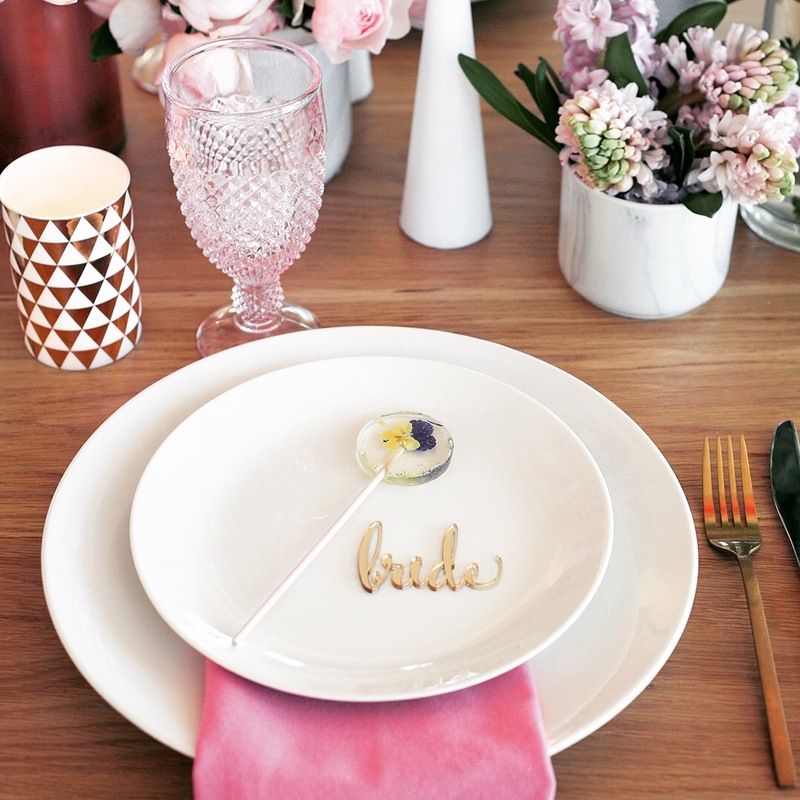 Love the custom place settings but want to make sure they match the rest of your table decor? 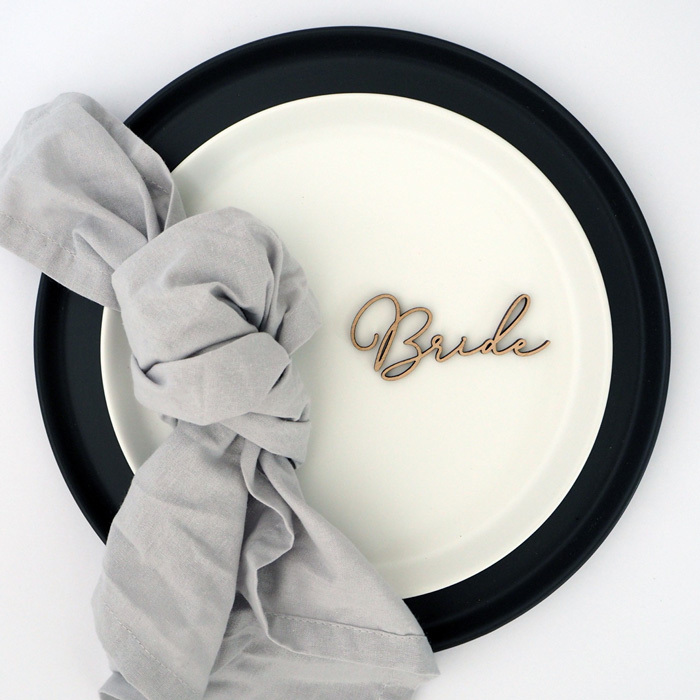 We now offer a sample pack, consisting of 2 place settings in a material of your choice. Order your sample pack here. The turn around time for large custom orders is 4 weeks from receipt of payment and the final names list. All large custom orders are shipped via Express Post, this ensures we can guarantee the 4 week turnaround time. Please get in contact if you are pushed for time and we will do our best to squeeze you in. 4 weeks from event date: Final Names list with any additions/subtractions highlighted. Full payment of invoice balance required. If you have any other questions or enquiries please get in touch.